Need a Vacation? 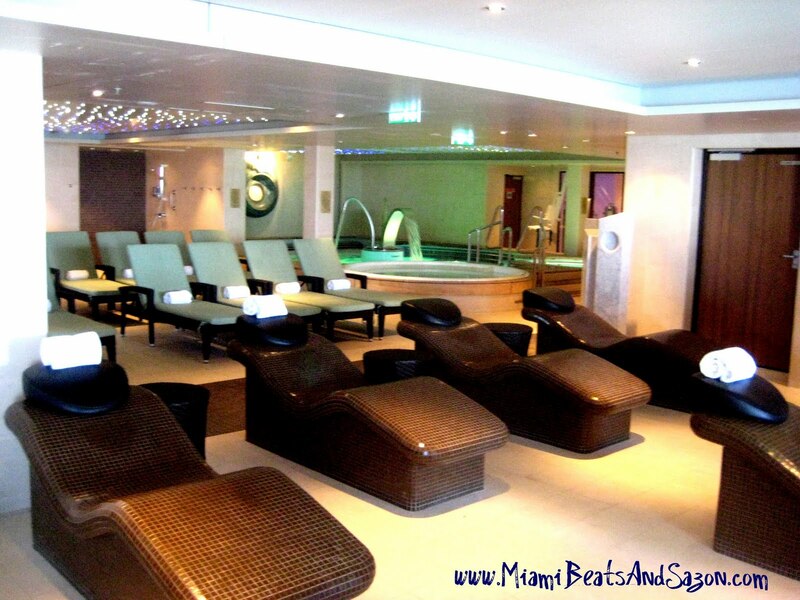 Introducing Freestyle Cruising: Exclusively offered by the Norwegian Epic! 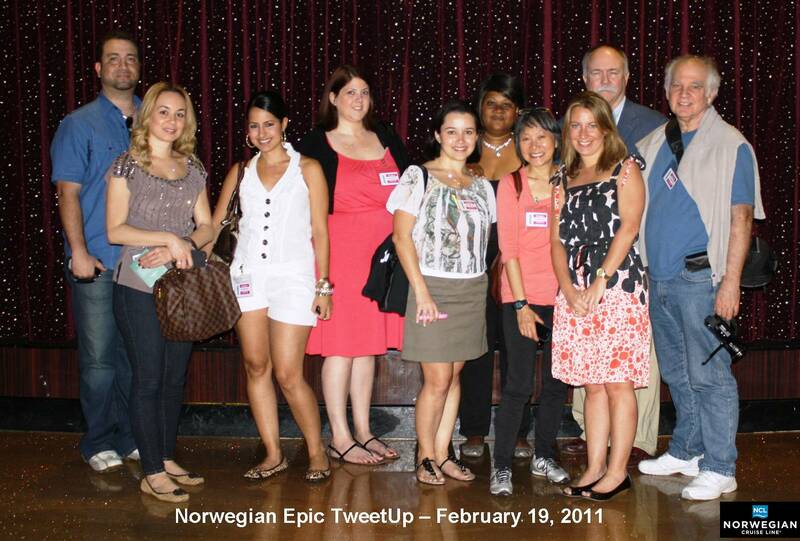 I recently participated in a #TwEpic event on-board the Norwegian Epic cruise ship. This was such a wonderful opportunity because I met a great group of people while checking out this amazing vacation option. It's been a while since I venture out into the Caribbean on one of these enormous ships. 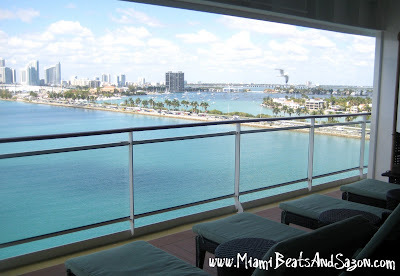 I wanted to feature the Norwegian Epic on my blog because so many tourists flock to the Port of Miami every year to enjoy these "cities" at sea. I've decided to highlight some of my favorite fun facts on this post. 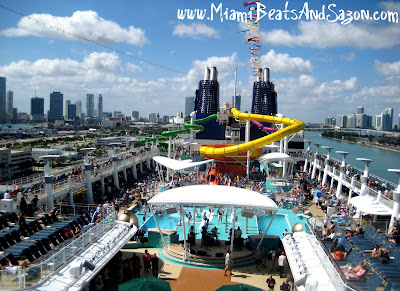 For more information on Norwegian Cruise Line or the Norwegian Epic, make sure you check out their website. One thing to note is that this cruise is all about letting you make your own decisions in terms of your itinerary. There are no schedules on the Epic vacation. Hence, freestyle cruising is a really cool option to consider when booking your next getaway! 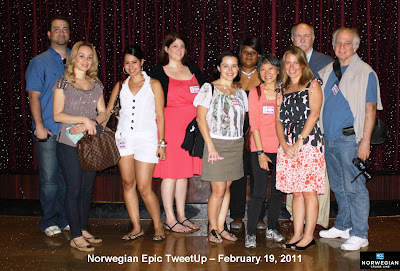 Above: All of the participants struck a pose during the February #TwEpic event on-board the Norwegian Epic. Make sure to follow the ship on Twitter @NCLfreestyle for upcoming events and promotions. The Epic offers these tweetups once a month. They only select a few participants so good luck! Above Left: The beautiful and elegant nightclub on-board the Epic called "Bliss." 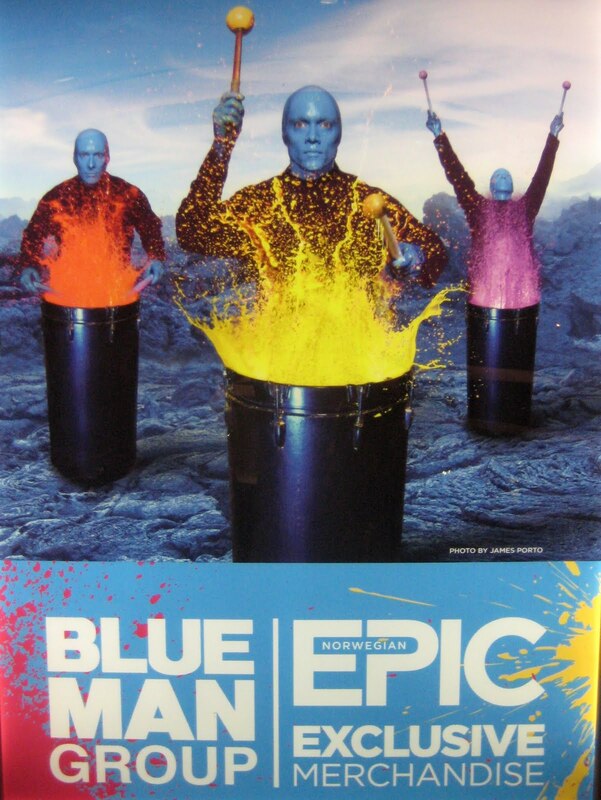 The cruise ship features a variety of entertainment options like the Blue Man Group [pictured above on the right- the only Blue Man Group at sea]. 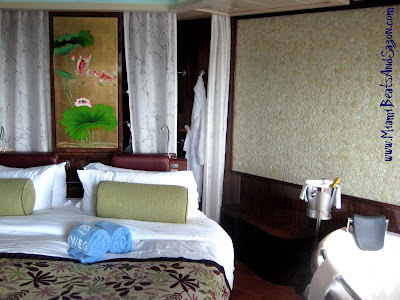 This was my favorite suite on-board the Norwegian Epic: The Spa Suite [each suite is equipped with its own hot tub]. 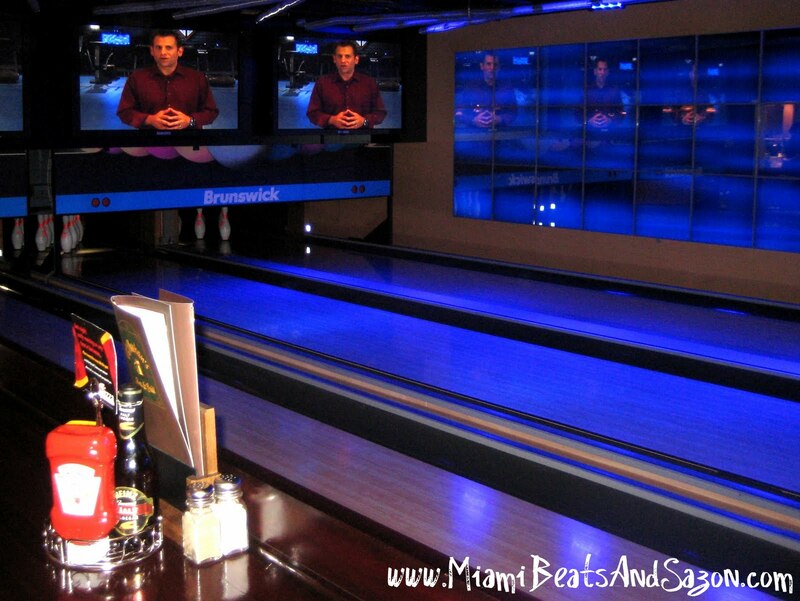 Talk about a great way to relax...you don't even have to leave your room! Above: My friends Iris (middle) from BeautyChronicles.com and Jewel from JewelsFabLife.com. Check out their blogs this weekend! The largest spa at sea can be found on the Norwegian Epic [31,000 square feet my friends]. I almost got lost on this deck because I couldn't take my eyes off the incredible views. The Miami skyline...take a second...enjoy Sazoneros! Imagine the views once you hit those Caribbean Islands or European cities [European voyages are offered in the summers]. 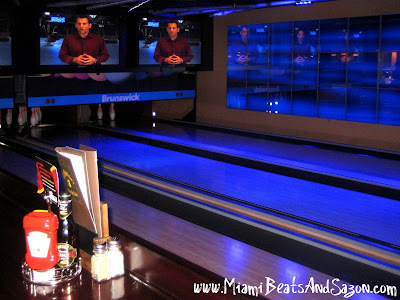 For all of my male readers, you'll be happy to know that the Norwegian Epic is the only ship at sea with not one....but TWO bowling alleys. By the way, did I mention that the cruise has the only Svedka Ice Bar at sea? 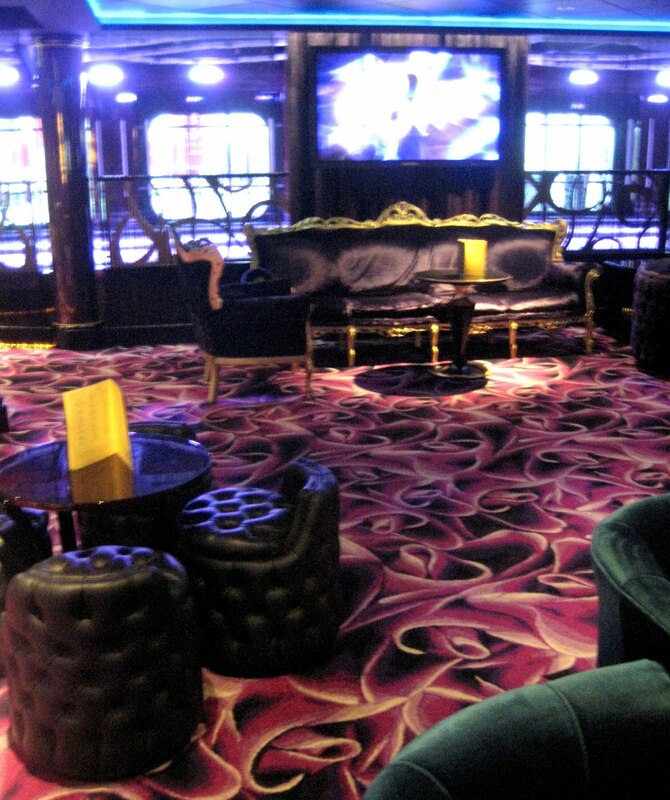 Kept at a cool 17 degrees, it is one of the most popular attractions on the ship for those who dare to enter. For additional pictures from my #TwEpic experience, visit Miami Beats and Sazon's Fabeook Page to view my complete photo album. Enjoy your weekend and cheers to an epic experience!